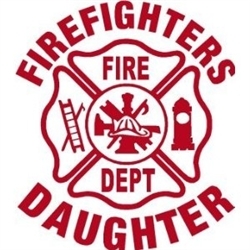 This Firefighter's daughter decal measure approximately 4 by 4 inches. It is manufactured from 7 year vinyl that will withstand the test of time. This is an excellent decal to show your support for your firefighter.